I woke up this morning with raccoon swollen eyes, probably due to lake of sleep. Unfortunately, my eyes are always kind of in a bad shape and they are so sensitive to the environment, it runs in our family. Having sensitive eyes I always try to properly moisturize the eye area and occasionally use cool/hot, gel masks etc. I bought a pack of My Scheming sheet masks and eye masks a while ago. Today I decided to use one of the My Scheming eye masks included, the Crystal Q10 Elastin Eye mask. I haven’t tried many mask besides from the My Scheming brand so can’t really compare the quality of it to other Asian brands. My Scheming is a Taiwan’s brand knows for their sheet masks. The company has kind of a funny name ‘My Scheming’.) the mask come in really cute packaging, just adorable. Product description: My Scheming Crystal Q10 Elastin Eye Mask contains chitosan, Q10 enzym and collagen. It activates and repairs skin, smooths wrinkles, and enhances luster as well as moisture level. It leaves skin around eyes smooth, delicate, luminous, fair, watery and firm. The eye mask is transparent. The brand claims that the gel mask is made from natural, high quality crystal that will dissolve when in contact with the skin, that’s why the word crystal in the name. Furthermore, it’s supposed to lighten eye bags, moisturize and firm the eye area and decrease fine lines and dark spots. Sounds perfect, so many promises let’s see what it delivers. 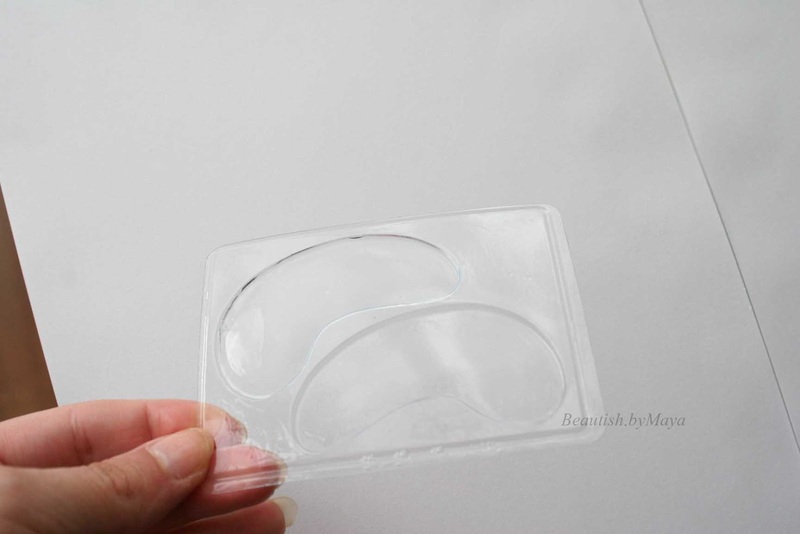 The gel masks sit on a hard plastic sheet soaked in essence. The product is quite thin; you have to apply it carefully. Cleanse your face and eyes before applying. The mask sits very well and is very cooling. The instruction says to apply it for 15-25 minutes. Actuality, I took it of after 15 minutes as the gel mask dried out and felt tight on my face. There was no tingling sensation and no irritation with my sensitive eyes (this is not the first time I used the My Scheming eye mask, so I actually knew what to expect). My under eye area is sligthy moisturized after using the product, but the real difference is the brightening effect. I couldn’t capture it with the camera but my eye bags almost disappeared and the skin got 2-3 tones lighter /brighter, also less purple discoloration. 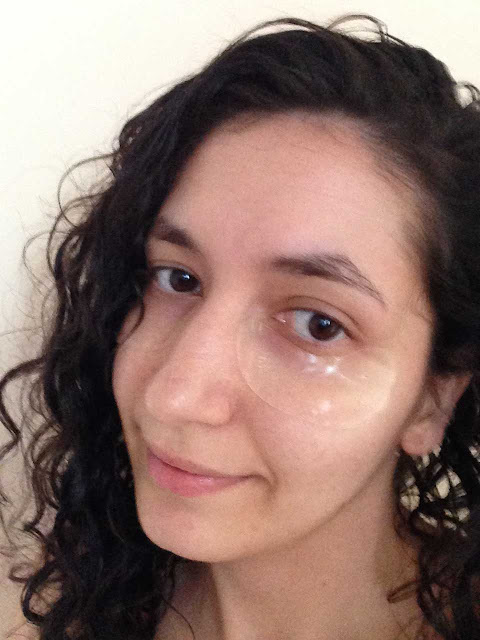 The eye mask makes the under eye area firm and fine lines less visible. 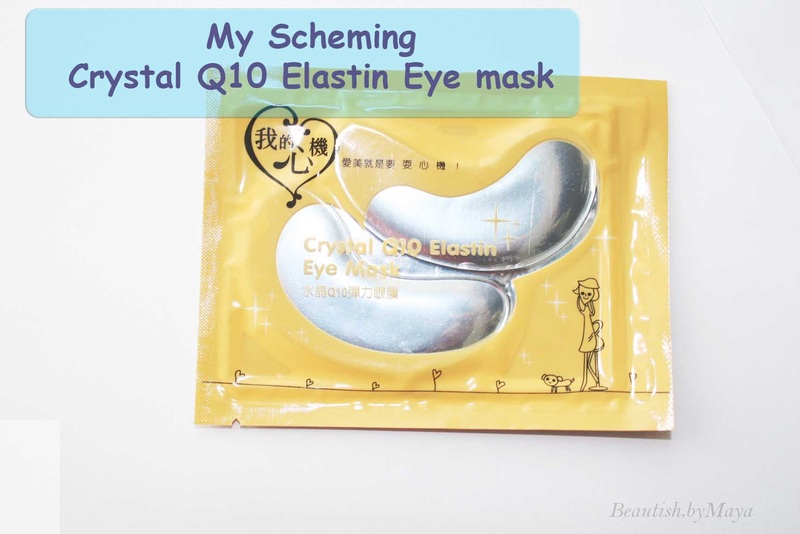 I really like the My Scheming eye masks, as for the moment the Crystal Q10 Elastin Eye Mask is my favorite. 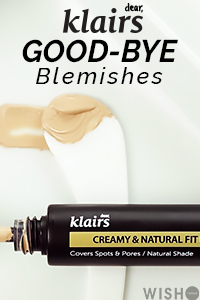 It delivers on all its promises expect the moisturizing effect, but this is not very important for me as you could just use a hydrating eye cream afterwards. I would definitely advise this eye mask, they are affordable (ebay 10$ for 5 pairs) and work well. Still, I would love to try eye masks from other Asian brands; gel and sheet masks. "I am also on Reddit and /r/asianbeauty !" Oh wow! I might have to consider trying out this eye mask :) I get a lot of eye bags during the spring/fall from allergies. Thanks for the review! Glad to be helpfull, have you also tried the my scheming sheet masks ? Yes Asian scincare is great, there are so many interesting products and so affordable )) have you tried any ?